Class -the adventures of a priestoholic: Warlord of Draenor -finally released! 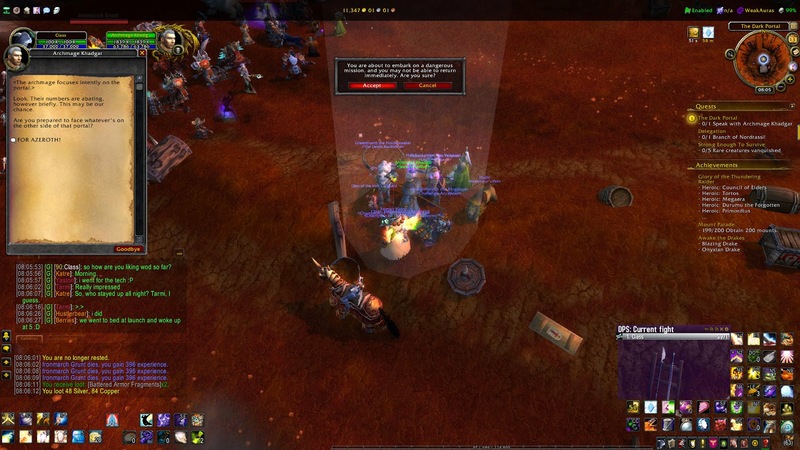 Warlord of Draenor -finally released! Everyone I know was more then ready to do some orc-slaying, and having 60 people in guild online the first days -even with lag and random disconnects- say how excited everyone was! And more and more are coming back to the game, so we have a lot of new people and old people (original TPR-people from vanilla-TPR :D) in a lovely mix. Guild chat makes me very happy these days! And boy, did Blizzard deliver! 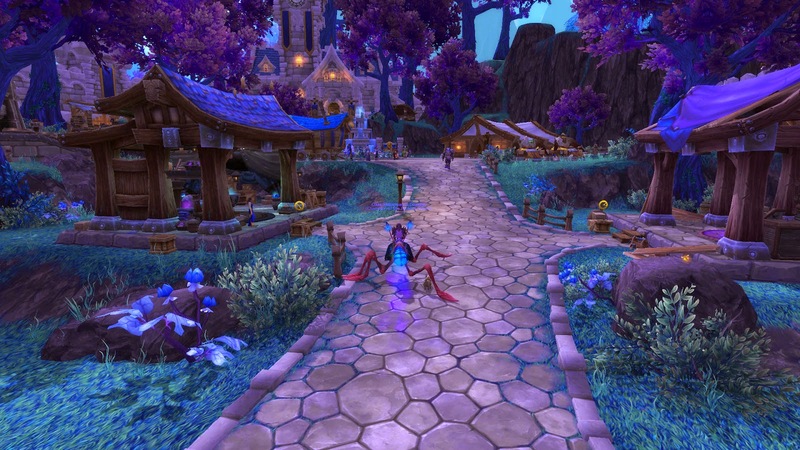 Also, before someone say "oh but garrison was bugged and the queuetimes was horrible" I KNOW THAT! :) And I'm not talking about that, I am talking about how freakingly awesome the game looks! Final DING! I have been saying DING! in g.chat for every level from 90-100. Just because! 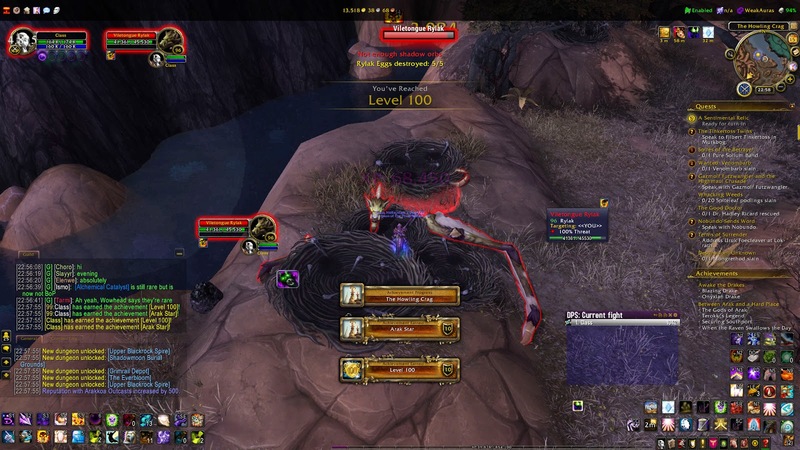 I was very happy to be 100, but lacked a few levels to join normals, so after being lucky with some random upgrades, first part of the ring-quest, and a couple of pvp-items later.. I was ready to hit heroics. 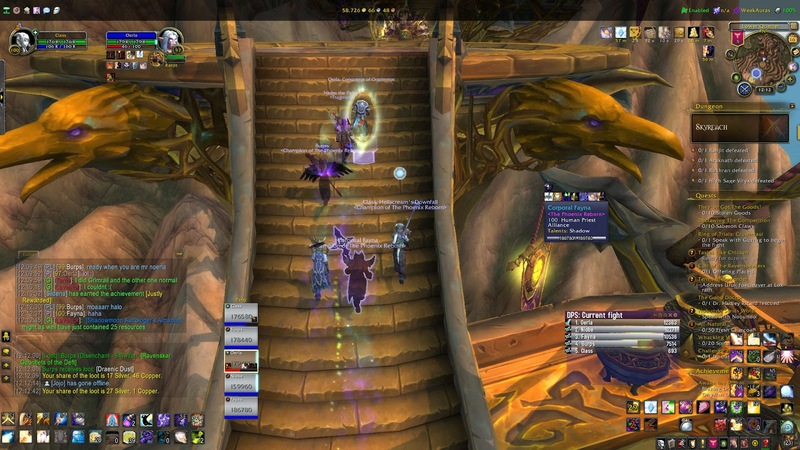 Did my first heroics with a full melee group from the guild, and me as disc. Boy that hurt. A lot. They were good at CC'ing trash and all, but constant ticking dmg and me not having great gear + not much to cast "on the run"... It made me want to cry :< Had that Cata feeling all over again, and not in a good way :P (disc was really crap back then too :P) I mean, disc is viable as a spec if you either have good gear/group have good gear, or you can stand still and build up those shields. On the move spells are Divine star (needs somewhat aiming), penance (long CD) and shields. 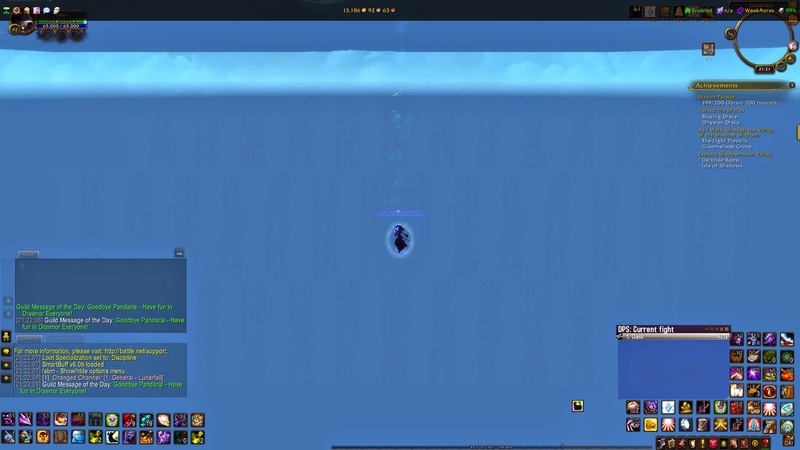 Prayer of Mending: casttime, all normal heals: casttime. Lvl 100 spell: casttime. 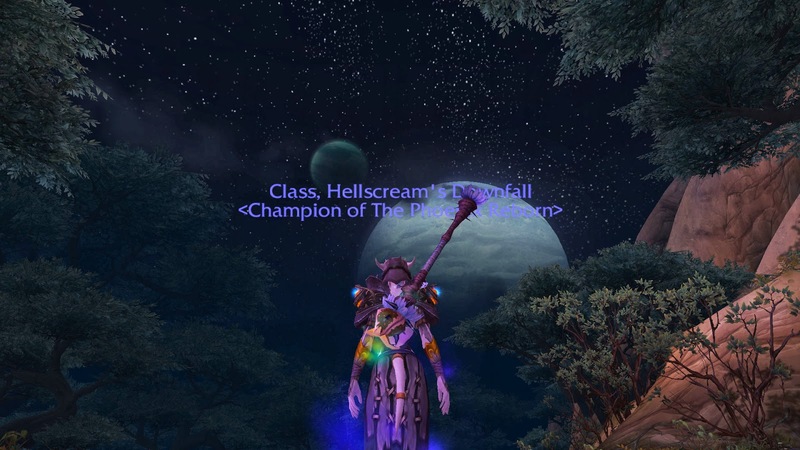 So Monday, I re-enchanted my gear to +multistrike, went to priest trainer and said: make me holy, oh good priests! And they did. So, for now -for heroics at least- I am planing to stay holy. Maybe until they fix disc even. Not sure really. Disc really have its uses for raids, with the Clarity of Will-talent that gives disc another absorb-talent on top of the rest. And you can just put it on the whole raid. No restrictions on targets. But at the moment I have taken the extra Prayer of Mending proc. for heroics since it makes more sense for heroics. :) The last talent for lvl 100 seems utterly useless. You get an instant heal, but your healing suffers for 10 sec after. And it stacks. I mean .. wtf? I am not sure if it is an option now, and that I just dont know it (could very well be!) but I would love for my Garrison to have things like Auction House, Bank, Void Storage and (ofc!) Transmog-options!